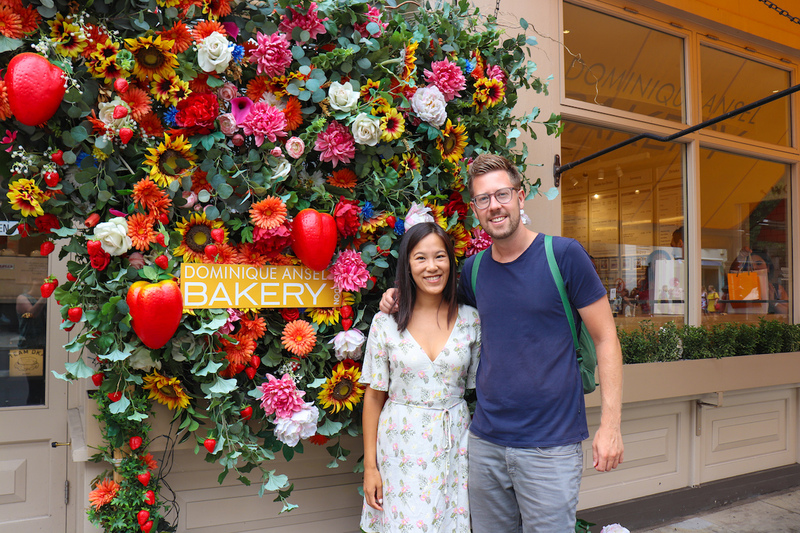 Hosted by London’s Chocolate Ecstasy Tours, the Sweet Treats Adventure in Chelsea Tour was once a chocolate-only walking tour, but recently expanded to encompass all things sweet. Chelsea is considered one of the poshest neighbourhoods in London; think: classic British town homes, luxury cars parked on the streets, well-kept pedestrian walking areas, and greenery everywhere. 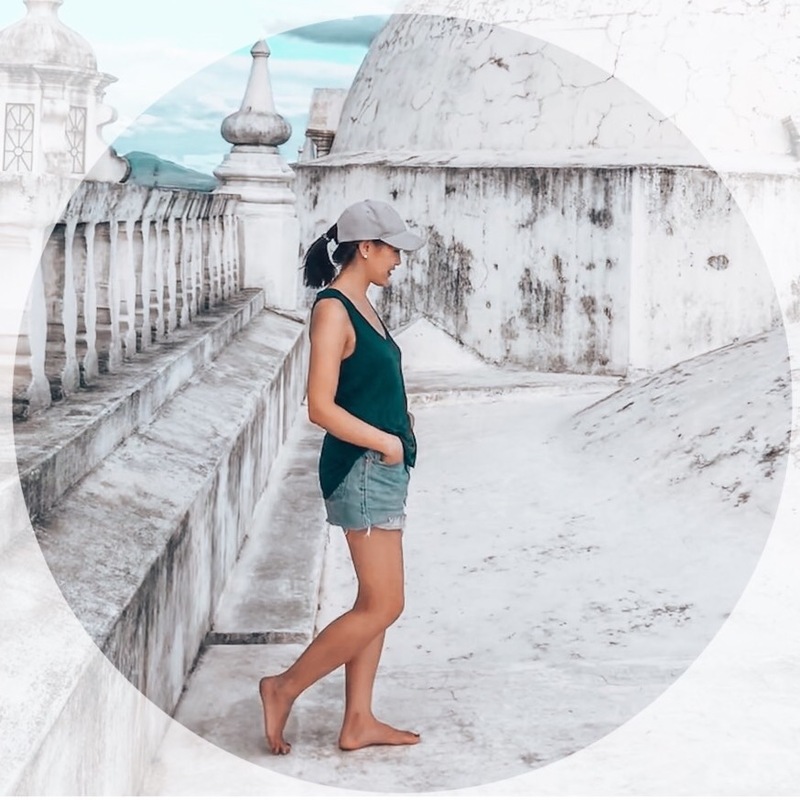 As such, the gourmet bakeries, patisseries and chocolate boutiques we visited reflected the high-end and beautiful neighbourhood they are housed within. Our first two stops of the day were at chocolate boutiques. The morning began with introductions at R Chocolate, over hot chocolate, ganaches and truffles. I discovered that I really love the taste of herb-infused chocolate. Some of the more interesting ganache flavours to me were: thyme and honey, garden mint, and strawberry basil. 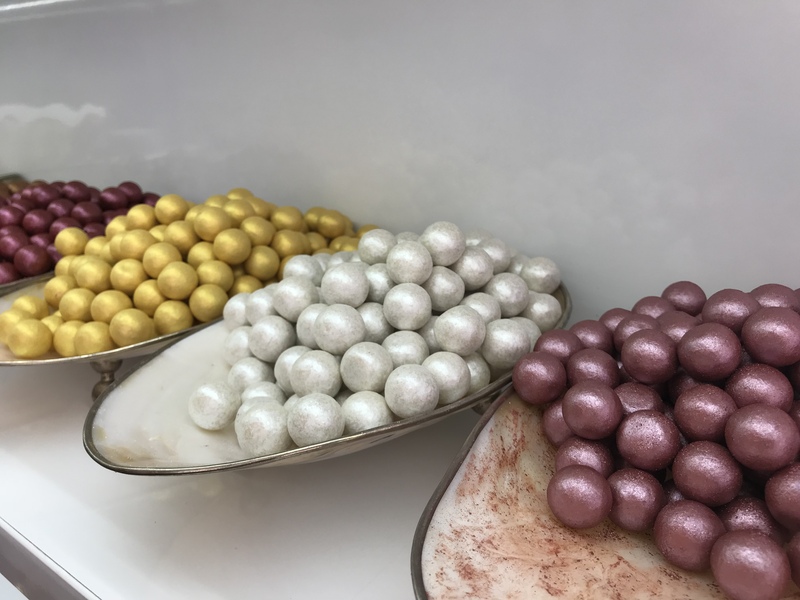 A few blocks away at L’artisan du Chocolat, we sampled high-quality chocolate disks printed with decorative patterns, but my favourite were the liquid salted balls — spheres of chocolate with an almost-liquid flavoured caramel inside. 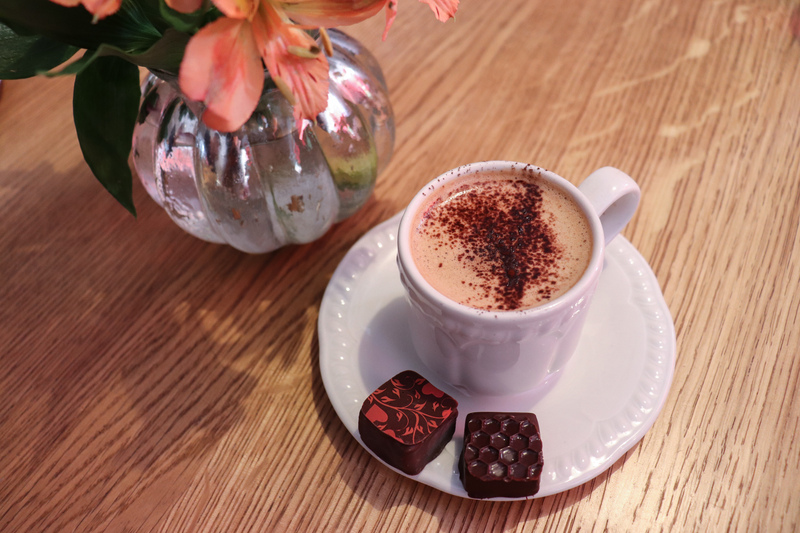 Interestingly, L’artisan du Chocolat offers a tobacco flavoured chocolate — the flavour was infused with real tobacco leaves — which left a tingly feeling at the back of our throats. The same store also sells other innovative chocolate-themed products like beer chocolate bars, and a chocolate-coffee spread. After our first two chocolate-only stops, the rest of the tour were at bakeries, patisseries, and a gelato place. 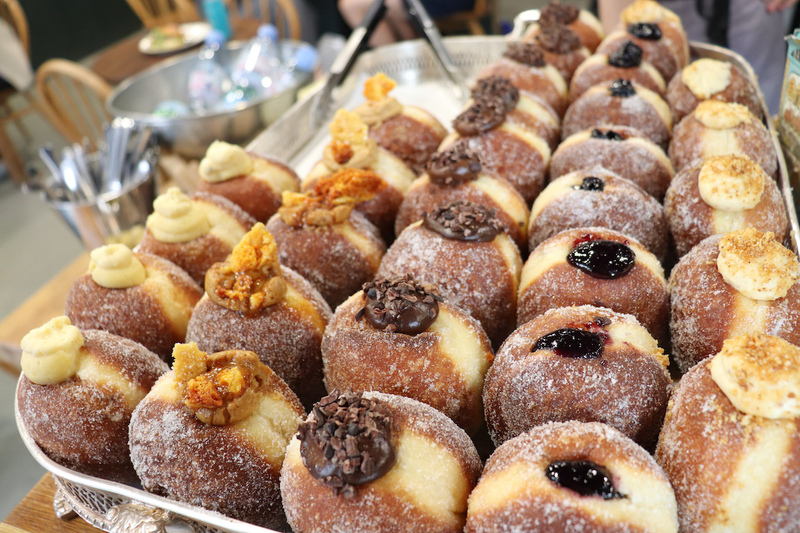 At Bread Ahead Bakery, we shared a fluffy doughnut filled with a generous serving of jam and a taste of ginger loaf. This establishment is both a bakery, and a cooking school. Bread Ahead co-owner Justin Gellatly was the chief baker for William and Kate’s wedding in 2011! 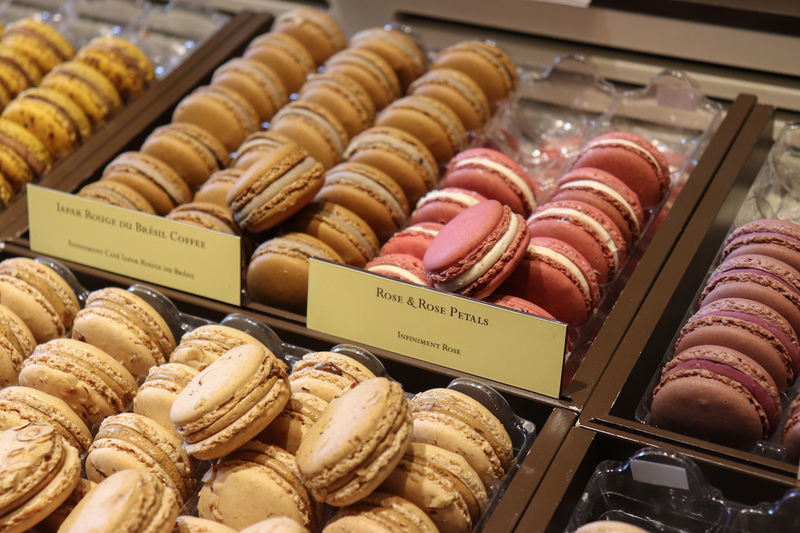 Macaron lovers like us will enjoy peeking into Pierre Herme, a chain of luxury macaron boutiques opened by a French pastry chef and chocolatier by the same name. To give an example of the Chelsea neighbourhood vibe, I met a man in the store who was buying a box of 50 macarons….for a children’s birthday party. The next stop was at the Israeli bakery Ottolenghi for tahini biscuits, which tasted like nutty shortbread. Ottolenghi was the establishment I was most familiar with on this tour, as I had eaten at the full-service restaurant in Spitafields the last time we were in London (See my blogpost on: “What We Ate in London“). Then, we went to Olivogelo for gelato. Our final stop of the tour was at a bakery I was really glad the tour introduced me. From New York City, Dominique Ansel is described as a “modern day Willy Wonka, the creator of wildly innovative, extraordinarily delicious and unbelievably popular desserts“. He is the creator of the Cronut pastry, a croissant-doughnut hybrid, which we tried on our tour. He’s also the creator of the What-a-Melon soft serve, something that you’ve definitely seen in one of those viral food videos online: fresh watermelon sorbet served in a slice of watermelon, with chocolate chips mimicking the seeds of the watermelon. Dominique Ansel was the bakery we came back to again in the days following the tour. We returned for the What-a-Melon soft serve, but unfortunately, they were out for the day. 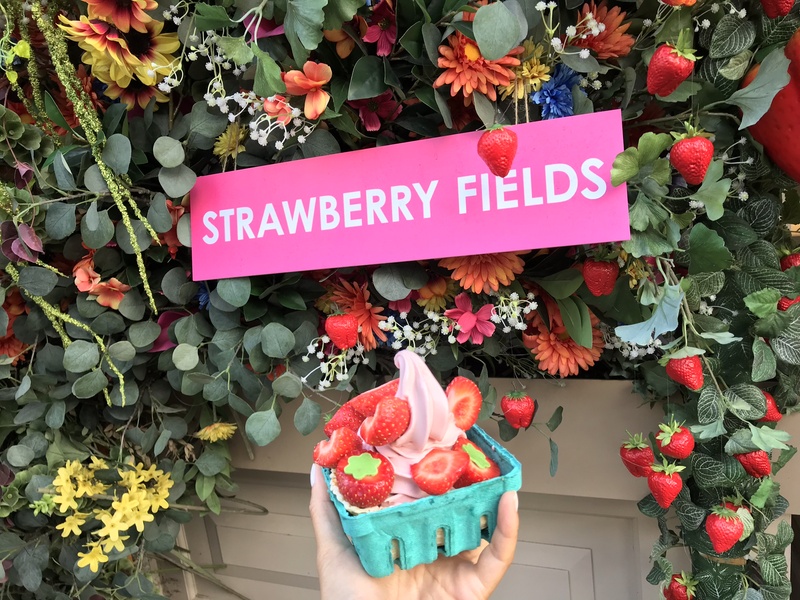 So we ordered the Strawberry Fields instead, a soft-serve strawberry ice cream served in a waffle cone basket, topped with white chocolate leaves, and, of course, fresh strawberries. The tour was a good introduction to Chelsea and gave us a sweet taste of all the hot spots in the neighbourhood. This tour was definitely designed for those with a major sweet tooth! We enjoyed wandering through the fancy Chelsea neighbourhood, picking and nibbling at bits of chocolate, cakes and other sweet treats. To book a Chocolate Ecstasy Tour, visit their website at: chocolateecstasytours.com. Thank you to Chocolate Ecstasy Tours for hosting us on their Sweet Treats Adventures tour. As always, all opinions are our own on Modern Mix Travel.